Scottish pianist Colin J. Scott was ballet pianist on the Jette Parker Young Artists Programme 2014–16, during which time he joined The Royal Ballet’s music staff for Age of Anxiety, Don Quixote, Swan Lake, The Four Temperaments, La Fille mal gardée, Woolf Works, Romeo and Juliet, The Nutcracker, Rhapsody and Giselle, while also acting as a répétiteur and playing continuo for La scala di seta (Meet the Young Artists Week) and the JPYA Summer Performance, joining the music staff for The Lighthouse (Meet the Young Artists Week) and performing in the Young Artists’ recitals. Scott studied at the Birmingham Conservatoire and the Royal Academy of Music and since graduating has worked as a répétiteur for ballet companies and schools around the UK. 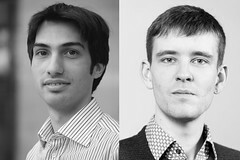 Engagements include Christopher Hampson’s Hansel and Gretel and Krzysztof Pastor’s Romeo and Juliet for Scottish Ballet, and freelance work with English National Ballet for classes and rehearsals of productions including Wayne Eagling’s The Nutcracker, Kenneth MacMillan’s The Sleeping Beauty and Marius Petipa’s Le Corsaire. Schools Scott has played for include Elmhurst School for Dance, Rambert School of Ballet and Contemporary Dance, London Studio Centre, Urdang Academy, Central School of Ballet and the Royal Academy of Dance. Scott is also a regular vocal accompanist and as a student appeared frequently with the Royal Academy Song Circle. 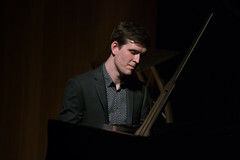 He has since performed as an accompanist in venues including Birmingham Symphony Hall and the Bishopsgate Institute, and as a soloist in a Messiaen Festival at Birmingham Town Hall. He has an active interest in composition, improvisation, song-writing and exploring new ways of creating music for dance. 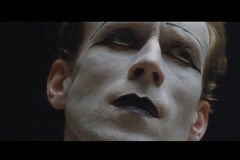 The Royal Ballet Principal dancer in a hypnotic film created by Beauty Papers, directed by Laurence Ellis. Michele Gamba accepts position as Jette Parker Associate Conductor.